Don’t get hung up with the term enthalpy change. It is just a simple term to denote the amount of heat that passes in or out of a system during a chemical reaction under constant pressure. Don’t get too worried about the term “constant pressure” either. 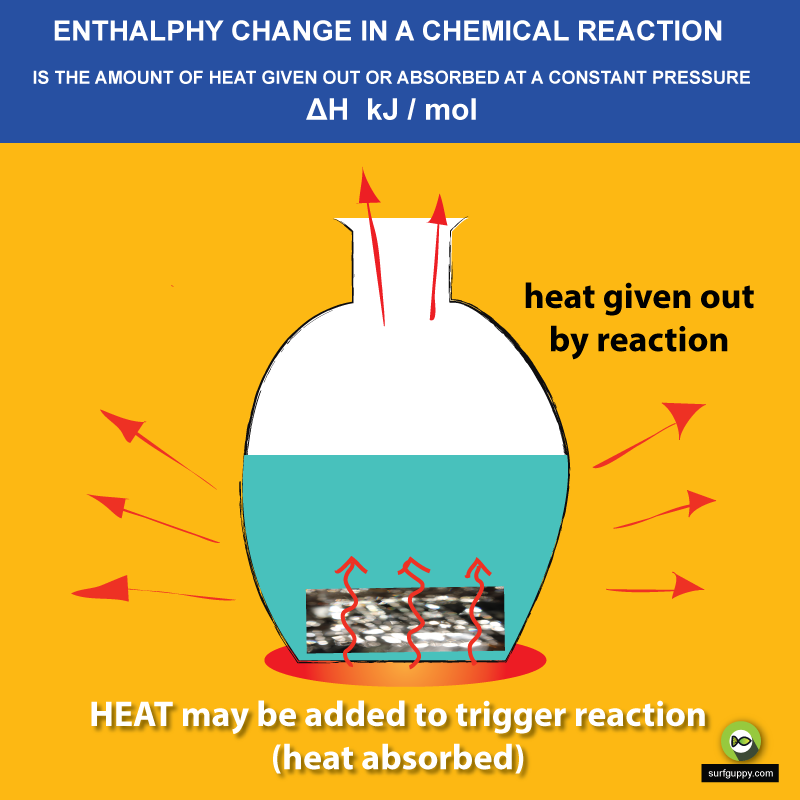 However, it is important to know that enthalpy change refers to reactions carried out under constant pressure only. 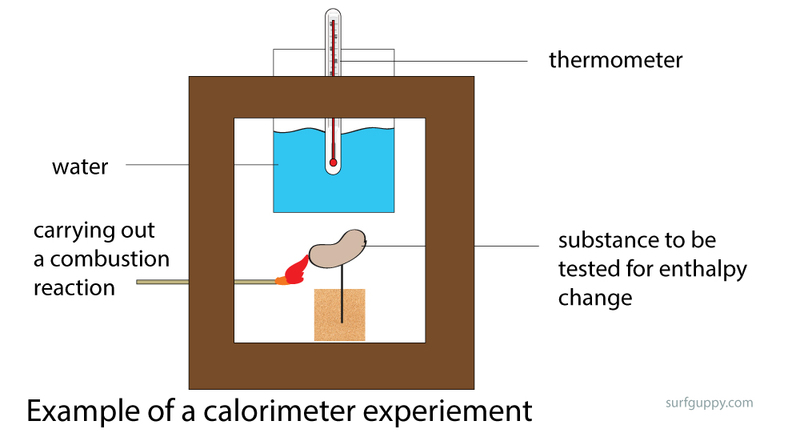 In school, you can measure the heat exchange of a reaction in a device called calorimeter. 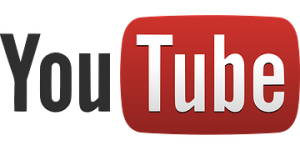 The experiment is conducted under atmospheric pressure which is constant. By measuring the temperature rise or drop for the reaction, you can determine the heat exchange — or the enthalpy change. It isn’t the most accurate way of determining enthalpy change because of heat losses but at least the experiment can be conducted easily and safely by following safety procedures. Calorimeters come in many shapes and sizes. The above shows an example of an experiment measuring enthalpy change in burning a food substance (eg. 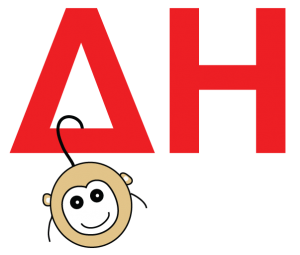 a peanut). In the real world, you may not go about measuring heat change in processes around you (e.g. a marshmallow undergoing oxidation), but enthalpy change happens frequently and all the time in nature. Enthalpy change is the name given to the amount of heat given out or absorbed in a chemical reaction. 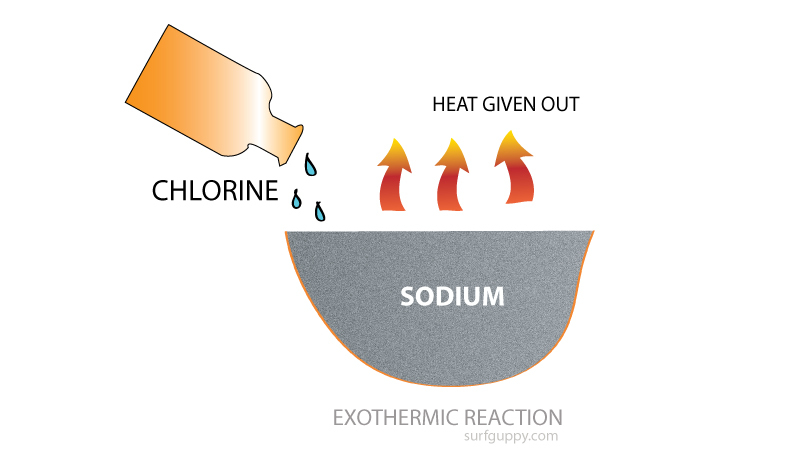 If enthalpy change is -‘ve, reaction is exothermic — giving off heat. 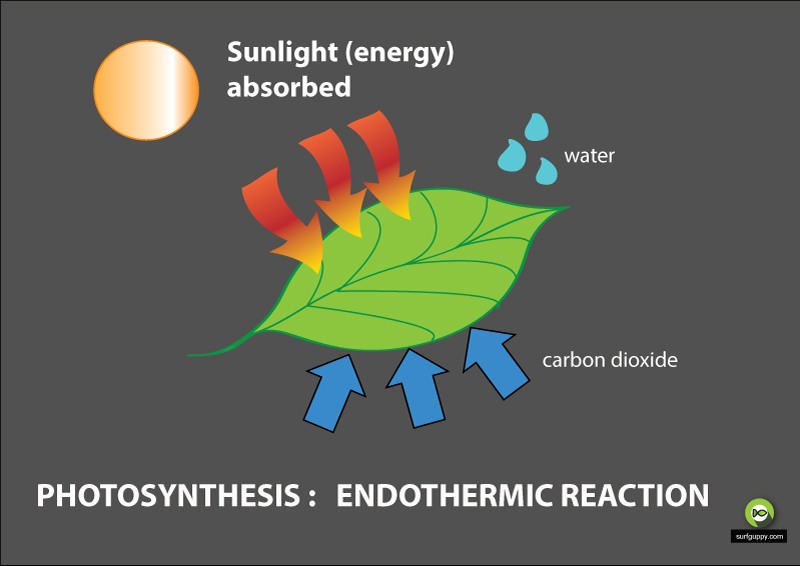 If enthalpy change is +’ve, reaction is endothermic — absorbing heat. Therefore the reaction is endothermic, heat absorbing, and the enthalpy change is positive. The energy of the product (NaCl) has lower energy than the reactants (Na + Cl).